Although “seasoning” had become widely known as adding salt and pepper to food, there are many other ways to season your food. Seasoning is the medium which transforms food from bland to rich. It is the very thing that makes a dish distinguished. The reason why the same recipe comes out different in every kitchen. And the reason why an eatery becomes favoured over another. Seasoning is adding ingredients to food that do not change its nature, either to give a particular taste or to emphasise the original flavour of this food. Ingredients used for seasoning include: Oil, Vinegar, Aromatics, Condiments, Herbs, Spices, Salt & Pepper; as well as any mix of those. can transform the palatability of food and totally change the eating experience. Using Truffle oil for instance adds a distinguished earthy tone to food due to its aromatic nature. A dish containing Truffle oil is straight out different in flavour than the very same dish with another oil. Furthermore, using Raspberry vinegar in your salad is a totally different experience from that using Balsamic vinegar for example. Even within the same type of vinegar, aged vinegars are deeper in flavour and make for a richer experience. The flavours of oils and vinegars are suggested by the name. Sesame oil for example will taste like toasted sesame and so on. Do experiment with oils and vinegars and remember there is a wide variety to choose from. Why not try nut oils, like walnut oil when roasting vegetables? This will lend a nutty flavour to the overall dish, which will pair very well with the caramelising of the natural sugars in the vegetables due to roasting. This is exactly how a simple preparation like roasted vegetables becomes a treat! Are used to elevate the flavour of foods and to stimulate the appetite. Condiments can either be an ingredient used in the making of a specific food, like: fruits, herbs, spices, Alcohol, or even truffles used in the recipe. Or they can be accompaniments, like: mustard, ketchup, pickles, sauces, relishes….etc. that are served with the food or on the side. Condiments like sugar, salt, oil, vinegar… have also been used as a reserving agent; such as in the process of pickling. Condiments could be used raw, such as onions, garlic or fresh herbs. Or they can be used as a prepared ingredient, such as sauces, chutneys, purees…. To appreciate condiments for what they do, imagine a burger without any sauce, pickles, vegetables…etc. Just the patty and the bun. While it is still edible, what experience is it without all the condiments that we have burgers with? Simply a dry disk of minced meat between dryer rolls of bread! This is why condiments are an art, figuring out what to pair with what to bring out each part’s goodness. Are so commonly used, yet are so underestimated sometimes! 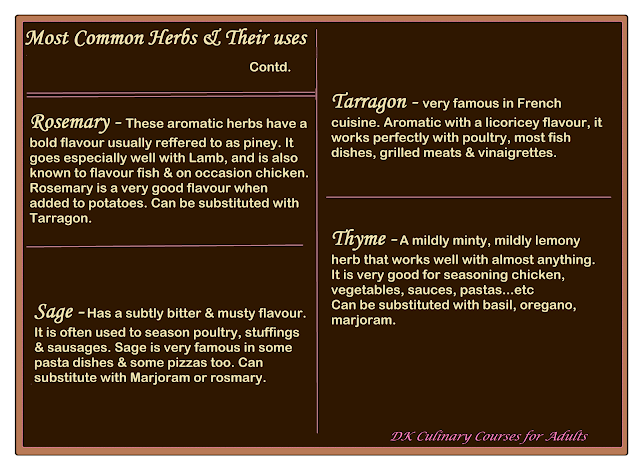 Each herb brings its own distinct flavour to recipes. They can even contribute to the look of your food and on occasion add a fancy factor to your preparations. A wide variety of herbs are available in the market both dried and fresh. Fresh snipped herbs however add a distinct flavour that cannot be matched by dried herbs. If you are following a recipe that calls for dried herbs and wish to substitute with fresh herbs use 1 tbsp fresh herb to 1 tsp of dried herb called for in a recipe. Fresh herbs are generally added towards the end of cooking time because they lose flavour and colour while simmering; except for Fresh Rosemary which can handle long cooking periods. As for dried herbs, you will need to add them in the beginning of cooking time to allow their flavours to develop. Are aromatic substances that originated in plants known for their fragrant sharp flavours. They are the seeds, roots, fruits, or flowers of plants. Spices can be used whole like whole peppercorns, otherwise, they can be coarsely crushed, or powdered. They can be a plain spice (including one spice) or can be made into blends that allow you to add intriguing flavours in one measure. Some spices are hot, making your food spicy, others are not and while they may add heaps of flavour, will not add the heat factor. Spiced food does not necessarily refer to hot-spicy food. It can be rich with spices, yet without heat. BBQ Seasoning – used for BBQ Meats. Bouquet Garni – used in stews, broths, casseroles. Cajun Seasoning – Used with Meats. Dry Rub- Used with Meats. 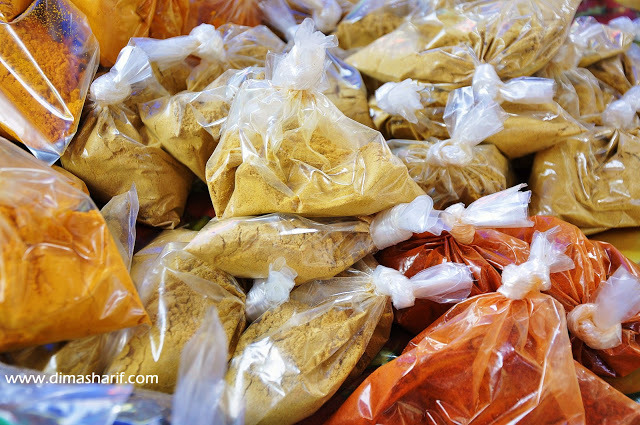 Five Spice Powder – Used in Chinese and Asian Cooking. Also used with meats. Herbs de Provence – Used with poultry, creamy pasta and soups as well as salads. Lemon Pepper Seasoning – Used with Vegetable dishes and Poultry. Mexican Seasoning- Used with Mexican Cooking. Seasoning is one place in cooking that allows you to own a dish and be known for it. It is definitely the place to explore, experiment, and create your own flavours. The use of a specific spice can transform a dish completely, and make it a whole new one. At times even take the dish right into another cuisine! 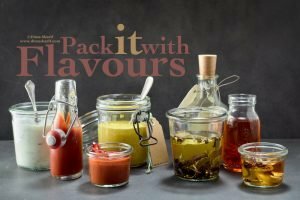 The more you cook and experiment with seasoning the more you will love getting to know the different herbs, spices, condiments and their intriguing flavours. Always keep in mind: the aim of seasoning is to complement the flavours of a given dish, to bring out the flavours of ingredients, or to add flavour. But it is never to overpower the flavours of the rest of the ingredients. With a little bit of experimentation and experience you will get it right every time! Following the spices, and the ancient spice stories is the most interesting thing to do! Did you know that the powers of the ancient world were determined by spices? And did you know that Spices were used as money? And also did you know that many of the ancient world wars were all about acquiring more spices or taking over spice routes?!! Furthermore, capitals of the world were determined according to where the major spice markets were. For Instance, Alexander The Great changed the spice trade route from the Levant to Istanbul (back then known as Byzantium, the Greek name for the city by the Bosphorus, as named by Byzas in 7BC) where in 6 BC after he took over the city from the Persians, Alexander TG established the main spice market of the time in this city. Doing so put Bezantium – later known as Constantinople then Istanbul – on the world map as a major world capital. That act forever changed the status of the city and is the reason why the Ottomans established it as their empire’s capital once they took over. Finally, ancient documents and scrolls reveal that spices were used as the earliest form of currency. Taxes were usually paid in cumin and coriander seeds, at times in saffron or cardamom or the best loved saffron root! No wonder then everyone wanted more spices and access to those trade routes, because the ones who had that basically owned the world bank back then! Let’s chat – You know how when you get used to eating spiced foods, it becomes difficult to savour blander foods. It is especially true when you get used to the kick that hot spices give you. Do you prefer rich spiced foods or are you more of a ‘deploy the natural flavour of the main ingredient’ type of cook? Do you find it hard to move between the two approaches? Like if you like spiced foods do you still savour blander foods? Let me know am really curious to know more about this. Bring it on! – Vegan, Gluten-free & Sugar-free all at once!